Ravine cabin sits off by itself with a lovely view of the pasture and the pond. 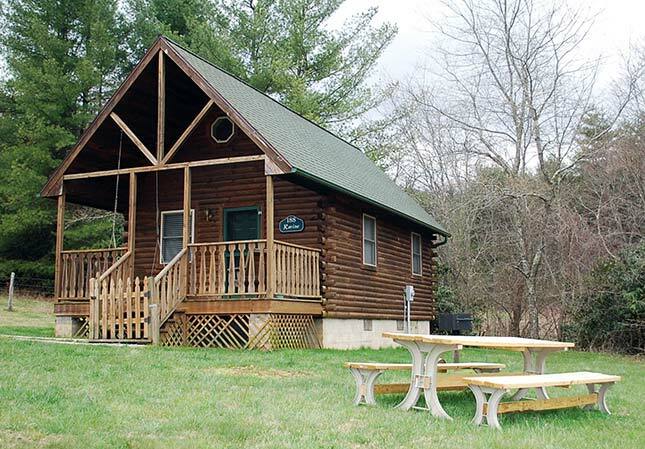 A pet friendly cabin, the Ravine can sleep up to Six people. There is a queen size bed in the bedroom , queen size sleeper futon in the living room, faces the gas log fireplace, and the loft accessible by ladder can sleep two more.